In preparation for tomorrows iPad 2 launch, Apple has cranked up its marketing machine with 14 new Guided Tour videos on the Apple website. The tours work effectively as both promotional material and as semi tutorial instructional videos and each one runs for an approximate length of 5 minutes. They cover many of the primary functions and features of the device, most of which we’re already present on the first generation iPad. 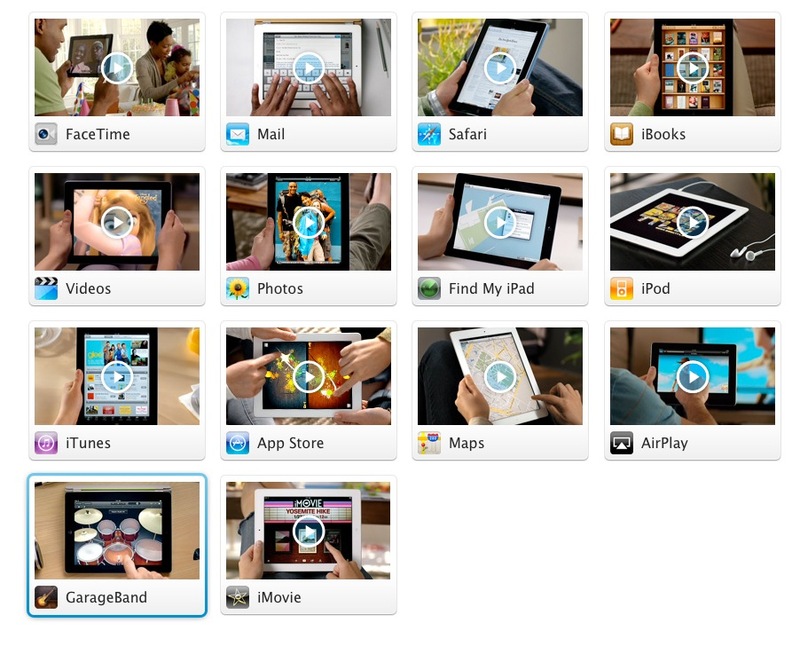 The first video in the catalogue is ‘Facetime’, which demonstrates the new video conferencing feature exclusive to iPad 2. The 13 remaining videos demonstrate Mail, Safari, iBooks, Videos, Photos, Find my iPad, iPod, iTunes, App Store, Maps, AirPlay and two more iPad 2 exclusive apps; GarageBand and iMovie. Both GarageBand and iMovie are the only paid Apps in the list costing €4.99 each.